You know you're in for a treat when the first question of an ad hoc interview among Liam Gallagher and a classroom full of cute kids comes from a rosy-cheeked little girl asking the former Oasis singer, “How do you deal with your anger management issues?” Check it out below. 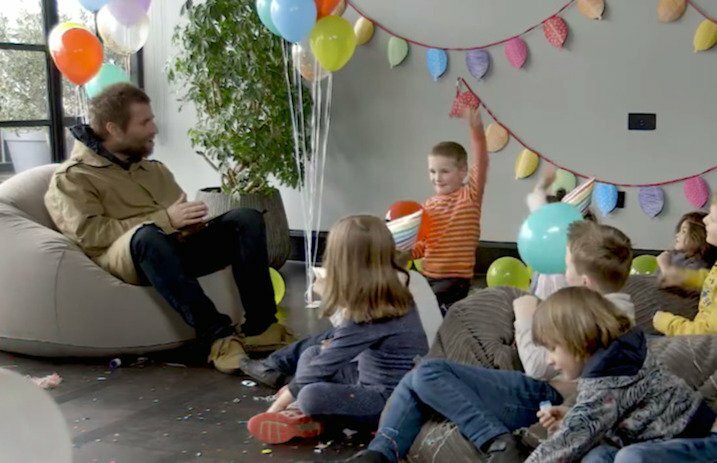 That's right: The staff over at Noisey had a bunch of small children ask Gallagher questions, and the results are surprisingly delightful. Watch below as Mr. Gallagher confers with the school kids on his favorite Disney movie, his brother's shoe size and his favorite type of fart. In other Gallagher brothers news, as pointed out by Consequence Of Sound, Liam was apparently drunk when he tweeted about reuniting with Noel over the holidays—so don't hold out hope for that Oasis reunion just yet.